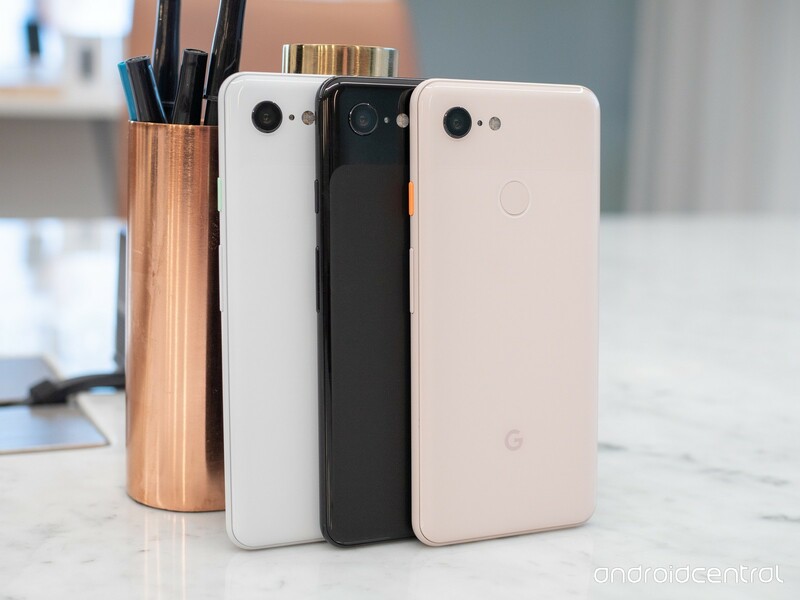 this is your exclusive first look at GOOGLE PIXEL 3 AND PIXEL 3 XL they are FLAGSHIP for 2018. 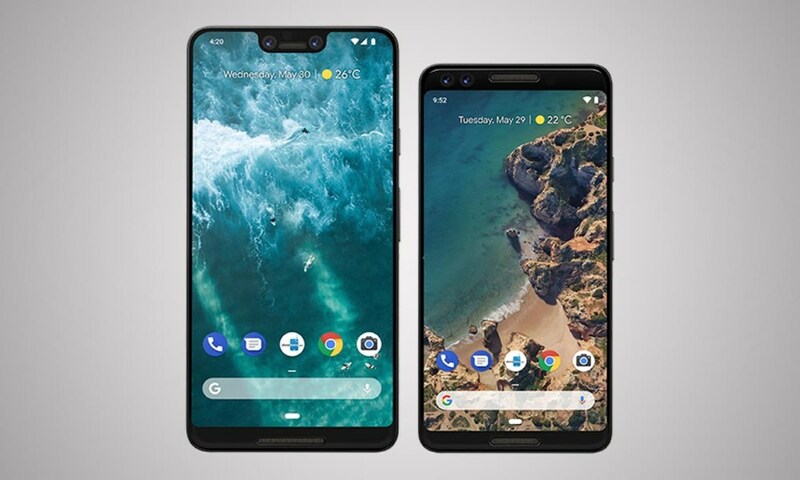 So this here is the PIXEL 3 AND PIXEL 3XL GOOGLES NEW FLAGSHIPS and let me just address this huge notch here at the top. 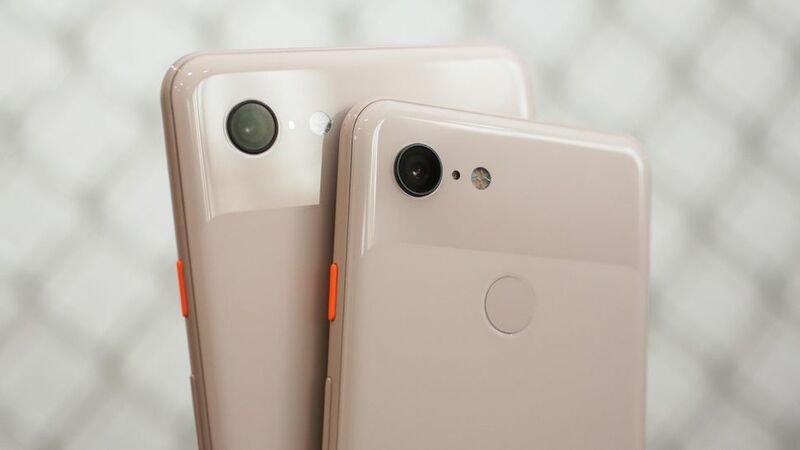 There’s a PIXEL 3 with no notch and exactly same specs so you have options. So you can start at the back of the phone and its pretty similar in design to last years pixel 2 but with IMPROVED BUILD QUALITY and a lot of ways of its small design update but clearly still a pixel but its now all glass from top to bottom in between Aluminium rails so typical 2018 fashion and the bottom half of the glass is a sort of textured in a way that it gives soft touch matte finish at the back. This flagship device available in THREE NEW COLORS this year is *JUST BLACK, CLEARLY WHITE AND NOT PINK and those are the actual color names and they are keeping the COLORED POWER BUTTON TREND going through; so the white has this mint colored power button and the not pink has orange colored power button and the black on black one has a black power button. The buttons are really clicky..! 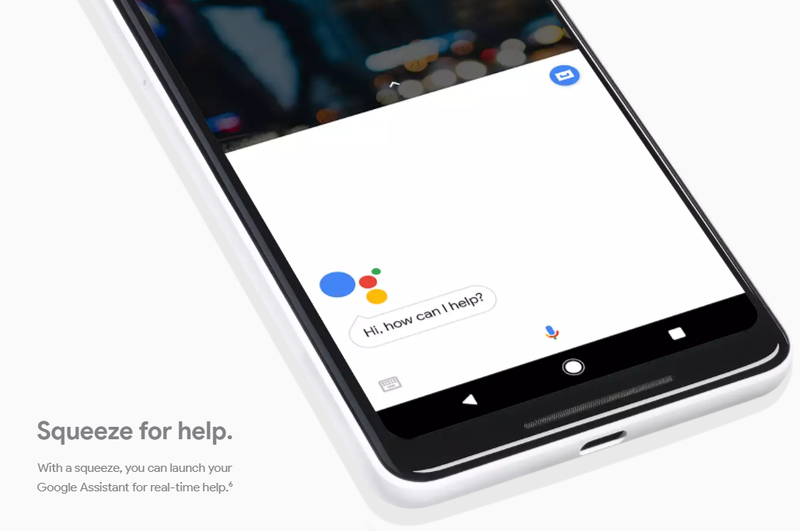 YOU still have the SQUEEZE FOR GOOGLE ASSISTANT and you do get WIRELESS CHARGING now thanks to the glass on the back 😁. Its also now IP68 WATER RESISTANT finally..!and you will notice that they move sim card tray at the bottom and all the buttons are on the right; now the left side of the phone is completely blank is totally smooth which is also interesting. 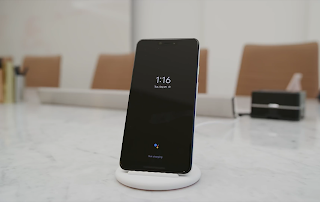 Anyway next to PIXEL 2 XL the PIXEL 3XL even with that notch looks pretty good and unlike the pixel 2 XL, THE DISPLAY here is ACTUALLY BEAUTIFUL. 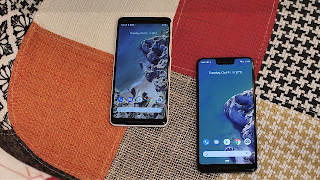 Its 6.3 INCH QHD+(2960*1440) that goes right up to the edges just close to the edges as the one plus 6, HDR SUPPORT GORILLA GLASS 5 while its OLED like pixel 2 XL it’s stunning just look at the PIXEL 3XL NEXT TO THE PIXEL 2XL………..! 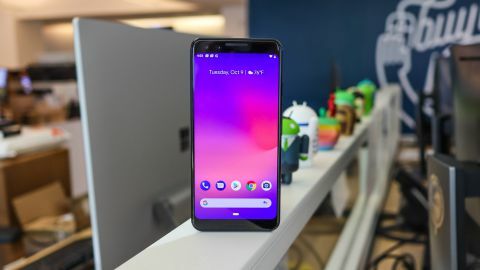 The display on the PIXEL 3 XL is much more vibrant and the colors look beautiful plus those are HDR SUPPORT and this is YOUTUBE SIGNATURE DEVICE HDR videos look just glorious. and IM CALLING IT NOW THAT PIXEL 3 GOING TO BE A SNEAKY CANDIDATE FOR SMALL PHONE OF THE YEAR. PIXEL 3, PIXEL 3XL HAS SAME FEATURES EXCEPT FOR DISPLAY AND BATTERY. PIXEL 3 has a battery life of 2915mAh and PIXEL 3XL has a battery life of 3430mAh and there’s no headphone jack and no expandable storage just like last years pixel but we know there will be 64 GB OR 128GB variant. There’s SNAPDRAGON 845 and THE 4 GB RAM inside which its gonna weird to say but that’s actually less RAM expected😕 and it does have the fingerprint reader on the back in the same spot where it belongs and ALSO STILL ONE CAMERA which is definitely wondering in 2018😮. LGV40 FIRST IMPRESSION:5 CAMERAS ON PHONE! justification for this huge notch…? A LARGE FRONT FACING SPEAKER that’s part of the stereo pair. Well as far as the speakers I have heard them and they are really impressively loud and clear I am a fan of those speakers😍. Now aside from the phone Google also had a couple other Hardware announcements, first of all, pixel in the box comes with the 18WATT FAST CHARGER and a PAIR OF USB C HEADPHONE in the box they are same style PIXEL BUDS but an optional accessory that they have given is called the PIXEL STAND AND ITS A WIRELESS CHARGER.